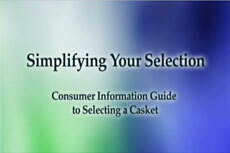 The value, selection and retail price of caskets is affected by a number of factors such as materials of construction, design details and personalization features. As you can see from our graphic, bronze and copper are the finest materials that metal caskets are made from, while Mahogany and Cherry are the finest in wood construction. We offer a wide price range in both metal and wood caskets to meet any budget and style considerations.